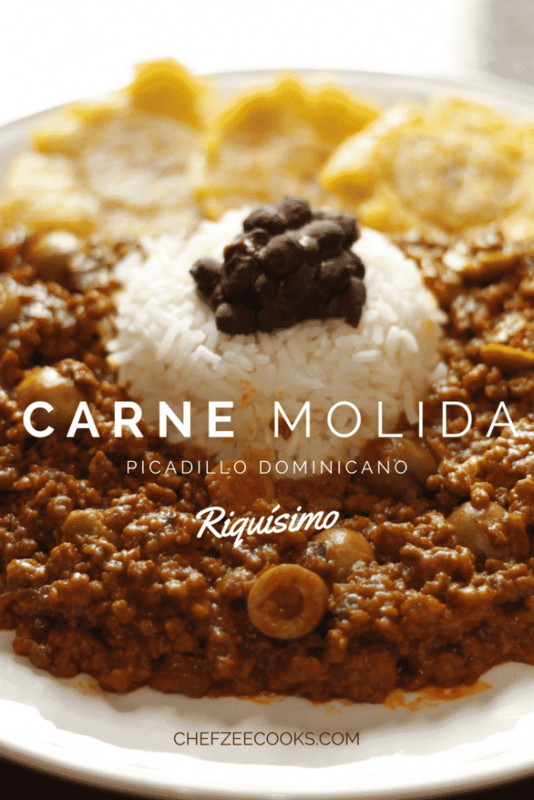 Picadillo / Carne Molida is a traditional Cuban-Dominican-Puerto Rican dish and super versatile since it’s used to make empanadas, lasagna, kipes, and much more. You can make picadillo for any dish that calls for ground beef. Keep in mind that like many traditional dishes, there is more than one way to make it. 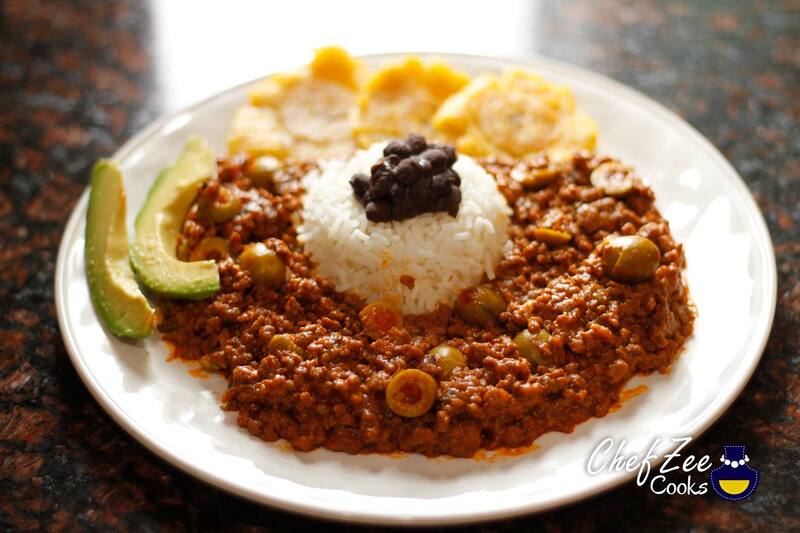 For example, if you have picadillo in a Cuban restaurant chances are that it will have potatoes and raisins while picadillo in a Dominican restaurant won’t even be called picadillo! If it’s on the menu at all, it will be under carne molida. I LOVE, LOVE, LOVE this dish and it’s one that I grew up eating (and yes, I love every dish I make hehe). I grew up in a house where money was tight and having carne molida was a special treat. It meant that my grandmother splurged to feed the family and trust me when I tell you that this dish NEVER went to waste! It’s funny to think of ground beef as a family treat but you don’t have much, meats like ground beef are special. Now that your meat has dried up for the last time, add the tomato paste and chopped recao. If your ground beef is on greasier side, feel free to drain some of the oil BEFORE adding the tomato paste. Serve over rice, pasta, platano or use it as a filling to your lasagna or emapanadas! If you have any questions on this recipe, feel free to comment below and follow me on social media! When you are letting the water simmer out, how long does that generally take? I am wondering if this is a meal I can cook after I get home from work or is this a recipe to save for the weekend when I have more time.